The idea is that when the Red Boxes go Green, the vulnerability is fixed. I noticed that I had a dwm.exe process running in my dev VM that had 230Mb which is not good. Why doesn't VisualStudio (or .NET) have StackOverflow Detection? It's crazy the fact that one simple mistake in one thread (a recursive call to itself) will bring the entire .Net process down!!! For a company that is 'just a feature' DropBox keeps delivering the goods. (for the past week or so) I tried to use Google Drive to backup about 7Gb of images I had from an older iPhone. Here is an updated version of the example described in the Real-time Programming C# WinForms Controls in VisualStudio's IDE (i.e. without using F5) post. Here is a heads up for an official 'SI job hiring' post that should be published asap (i.e. when we get it done). Based on the Util - Windows Handles Viewer (Simple Gui) v1.0.exe tool, here is a bigger version (5Mbs) which contains a C# REPL Script editor (with the detected handle provided as a parameter). 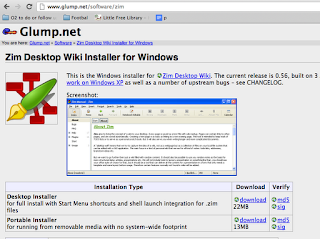 Using Windows Messages (and some O2 Platform glue) I found a way to 'inject' a window (i.e. 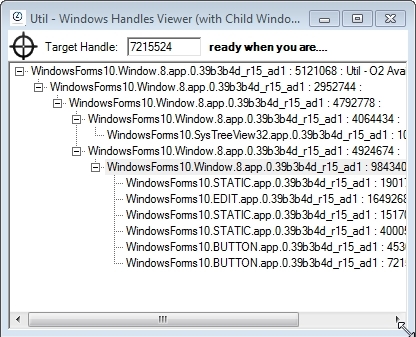 a windows control) from one process into another one. 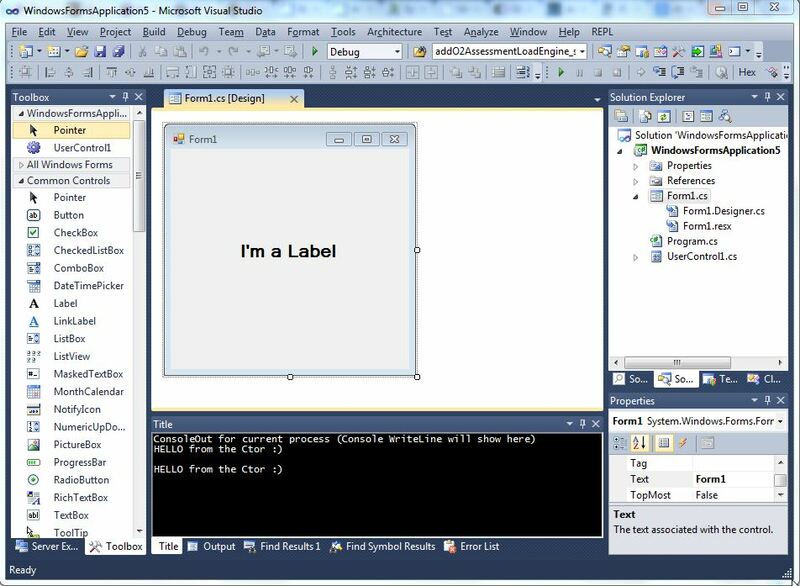 Its is actually quite easy, the key is to use the user32.dll setParent API call to change the location (and rendering) of a particular control. 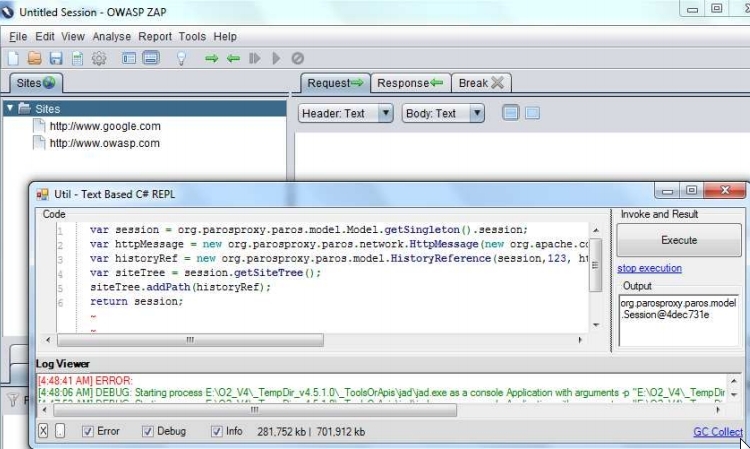 After Using Jni4Net (Part 1) - To C# REPL a java process (ZAP Proxy) and Using Jni4Net (Part 2) - Controling OWASP ZAP remotely (via Java BeanShell REPL in .Net) the next step was to see if we could consume (and code) the .NET APIs from Java. And again Jni4Net really worked! 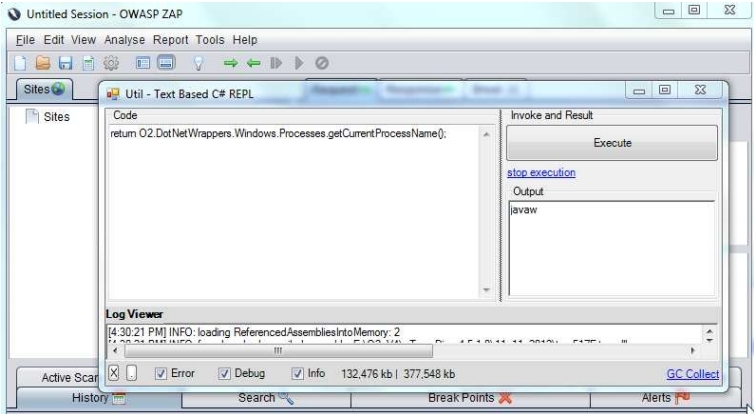 Once I was able to Use Jni4Net (Part 1) - To C# REPL a java process (ZAP Proxy) I was able to use the ZAP BeanShell support to start controlling and manipulating ZAP's GUI from the .Net C# REPL. 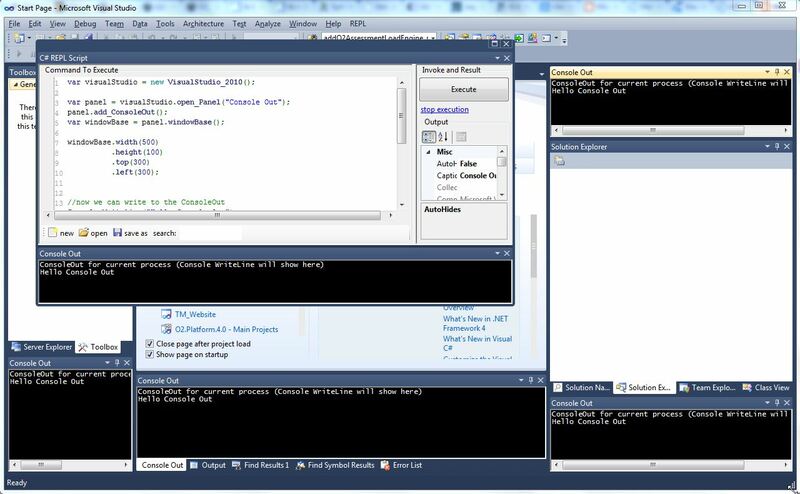 Last week I discovered the Jni4Net FOSS project which provides the foundation blocks to create a Java bridge to .Net (and vice-versa). My first step was to use the Injecting C# DLLs into Managed (C#) and Unmanaged (C++) processes O2 capabilities to inject an C# REPL into the ZAP process. 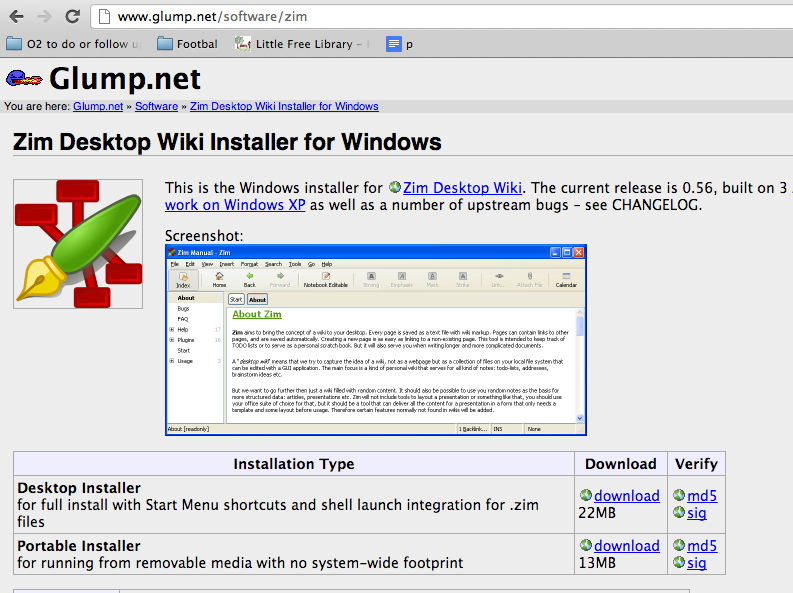 the background window is the (JVM based) ZAP process. After Coming up with a name for TeamMentor's public site (which resulted in the getsecure name being chosen) it was time to create that site. After spending some time refactoring TeamMentor's (TM) main code-based (to only use the needed bits) here is a stand-alone TM site which will hold the TM Sales and Marketing pages. Important note: although the content changes will be shown on the site (the ones done via the 'notepad' editor) this data will be lost on every new publish. edit the desired file on GitHub's web edit interface (for example the Eval page or the Customer page), which when saved, GitHub will auto-create a Commit with the changes (which will trigger a publish to AppHarbor). Notice the nice touch (in bold) to encourage participation in creating Wikipedia content. I'm moving the current TM Eval and Customer pages into its own server, and I was struggling to come up with a name that worked (in the xxxxxx.teammentor.net DNS name format). 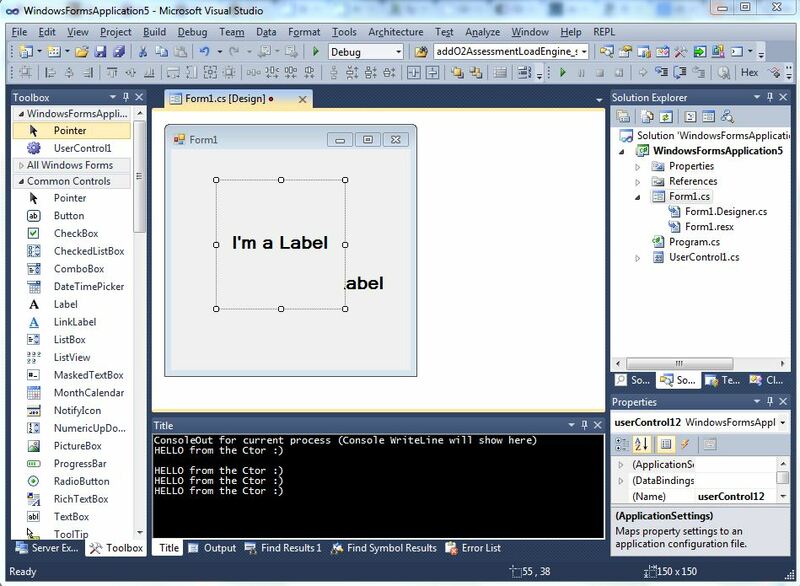 The interesting part of what just happened, is that VisualStudio invokes the constructor of the UserControl1.cs (in order to create a live instance of that Control) before adding it to the Form1.cs object. 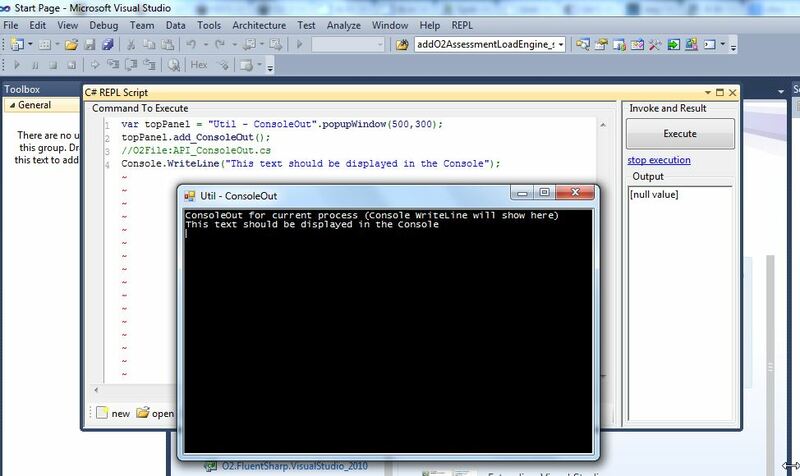 And that (the UserControl1.cs constructor) is where we can trigger the Console.WriteLine calls. 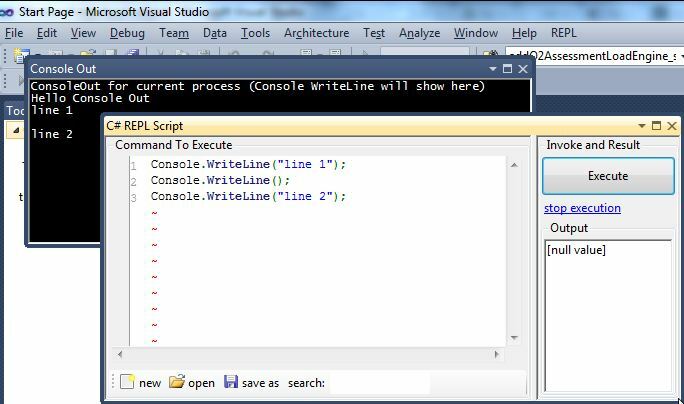 Here is another way to trigger the Console.WriteLine call (i.e. to trigger the UserControl.cs constructor). 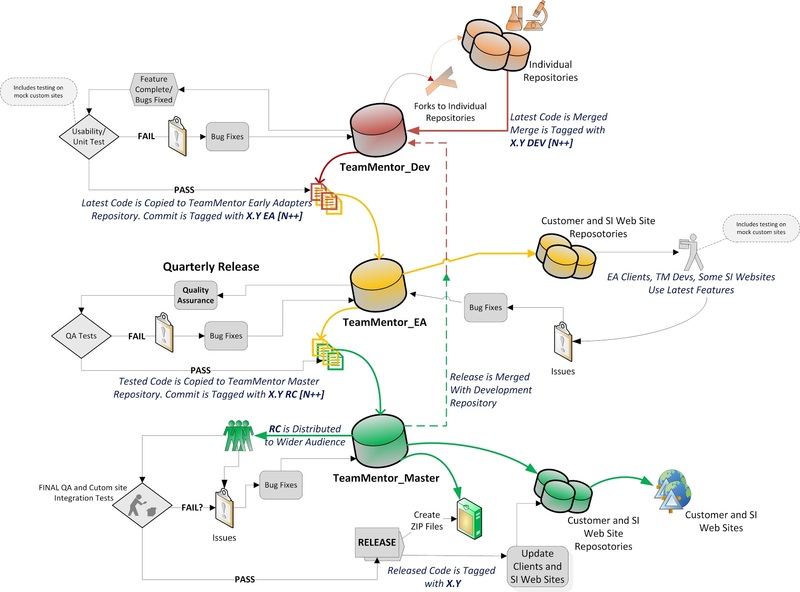 Although this visualisation of TeamMentor's GitHub dev workflow is pretty good, it was created using Visio, and I really don't want to use Visio again (I'm done using large desktop apps with no web integration/publishing). the end-result looked good enough (after a couple import fixes). I have done a LOT of Visio diagrams (in the past), and I have to say that I found Lucid Chart's web interface really easy to use (and learn). 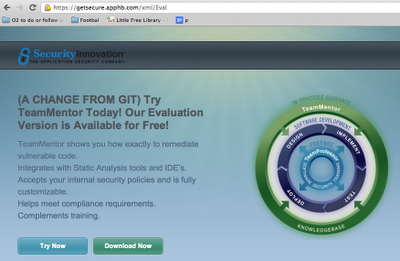 Is the TeamMentor's OWASP Library content released under an open License? Following the FLOSSHack TeamMentor thread, Jerry Hoff asked "Is the content in http://owasp.teammentor.net/teamMentor creative commons? Can we use it to freely fill out more of the cheat sheets and use in tutorial videos and so forth?" OWASP's FLOSSHack events are a really powerful initiative. "...Free/Libre Open Source Software Hacking (FLOSSHack) events are designed to bring together individuals interested in learning more about application security with open source projects and organizations in need of low cost or pro bono security auditing. FLOSSHack provides a friendly, but mildly competitive, workshop environment in which participants learn about and search for vulnerabilities in selected software. In turn, selected open source projects and qualified non-profit organizations benefit from additional quality assurance and security guidance...."
See FLOSSHack_One for the details (and vulnerabilities discovered) of the first event. OWASP's FLOSSHack is one of those 'magical' spaces where the OWASP's community and its projects can come together and add a lot of value. OWASP is a community that really embraces new ideas, new contributors and projects. What I found (by observing lots of OWASP projects starting, blossoming and dying) is that what makes the difference is how Empowered is an individual on a particular project/tasks. 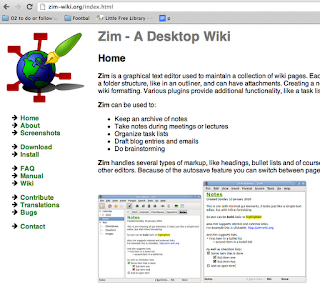 Serge is using Zim Wiki to document some of his development experiences, and it looks quite an useful tool. 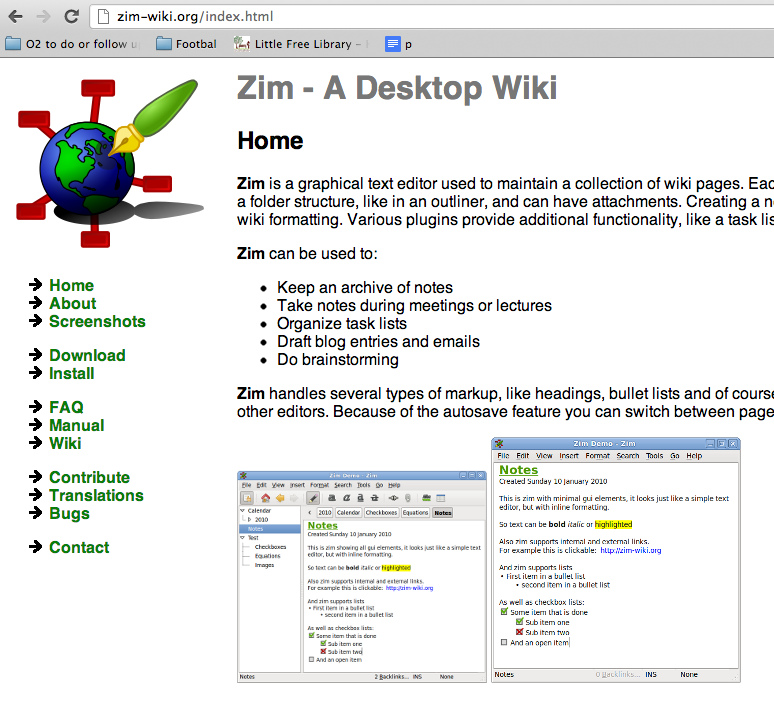 Zim is written in Python and has a nice/clean Gui. An interesting and powerful idea is to add TeamMentor Import/Export features to these products so that we (i.e. TM Users) can use these tools as Article creators/editors. @austinogilvie posted this nice Cleaning Data with Google Refine entry where it shows the Google Refine (soon to be called OpenRefine) project in action. 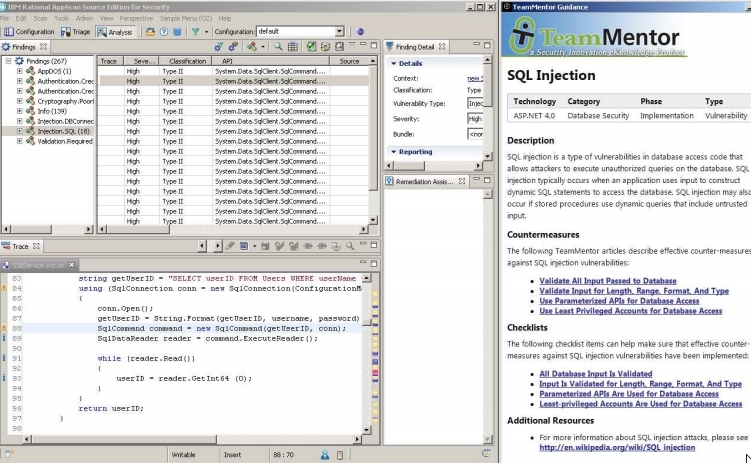 Google Refine in their own words is: "...a power tool for working with messy data, cleaning it up, transforming it from one format into another, extending it with web services, and linking it to databases like Freebase...."
The Real-time Programming C# WinForms Controls in VisualStudio's IDE (i.e. 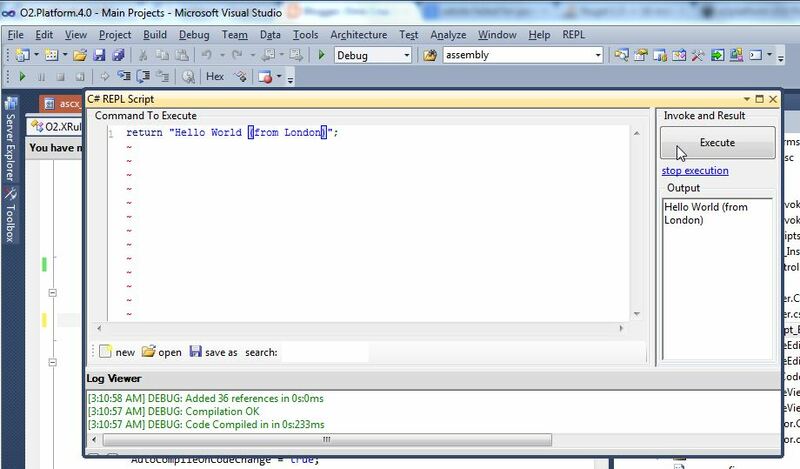 without using F5) blog entry shows how to use the VisualStudio C# REPL - O2 Platform extension to update/fix an existing WinForms control without going through the painful (and slow) process of VisualStudio GUI programming. 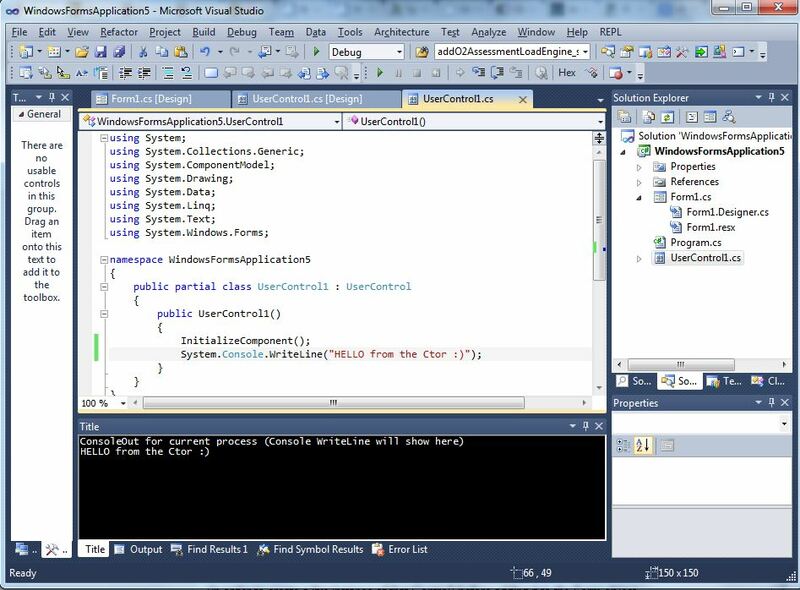 What you will see in that example is that I will dynamically compile and execute a WinForms Control, without using VisualStudio's Debug/Run capabilities to see the new changes in action. I was able to compile the modified Source Code file, and using reflection, was able to create a new instance of an WinForm's Control (without leaving the VisualStudio's IDE). And the best part is that we can code our tests in an REPL environment (think Roslyn), which allows the support for complex (and unit-test like) scenarios. I can't underestimate how powerful, fast and efficient it is to be able to have this type of REPL environment while coding. 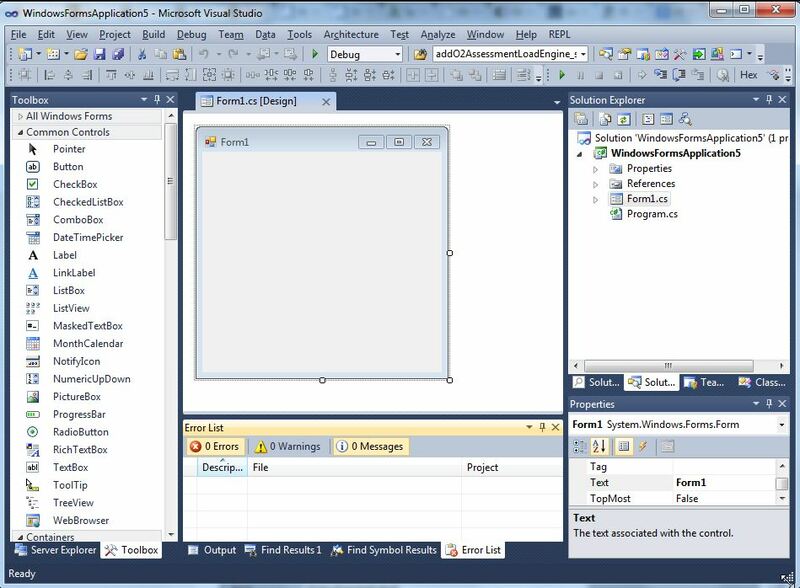 This is what I would like to see on the next version of VisualStudio. 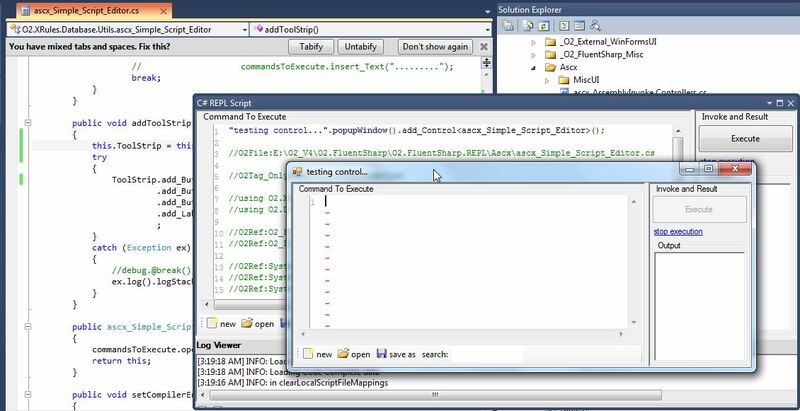 What is happening is that the ascx_Simple_Script_editor.cs file (whose source code is shown in the background) was dynamically compiled and executed .... without leaving the VisualStudio's IDE. 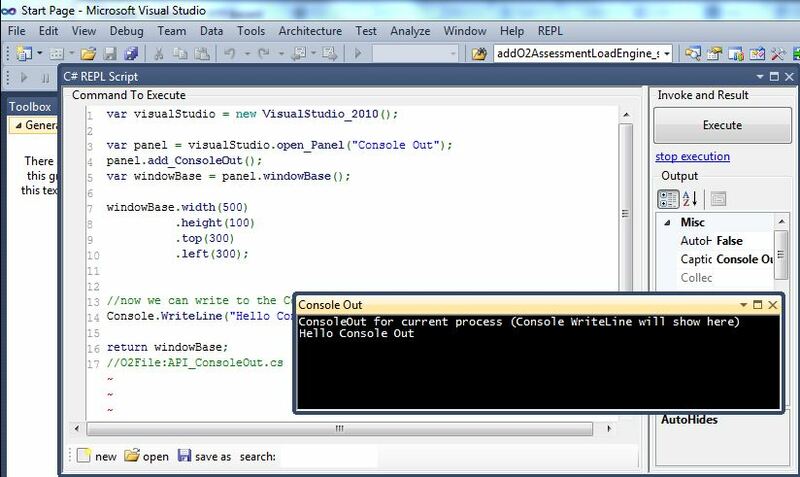 Just to double-check that we are doing this in real time, lets make a small code change in the ascx_Simple_Script_editor.cs source code (using VisualStudio's code editor). Now that we've proven that we are able to change, compile and execute a C# WinForm's control in a REPL environment, let's do something more interesting. One of the O2 Platform user's feature requests that I have received for this control (the one that we are editing), is to move the ToolStrip Control (the one with the New, Open and Save As buttons) from the bottom of the Control, to the top (which is where usually ToolStrips are located). 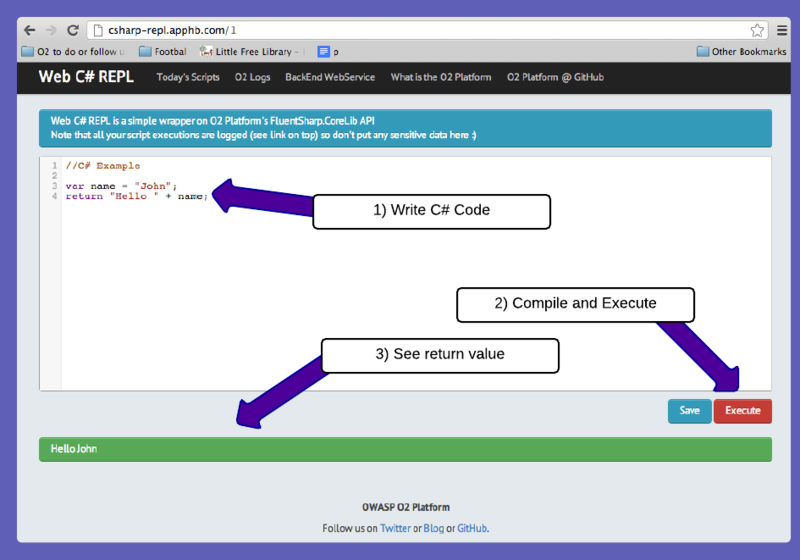 Once the change is saved, we can immediately see these changes in action, by using the REPL environment created via the gist script shown above.. Here is the updated version of the ascx_Simple_Script_editor Control with the ToolStrip Control at the top. 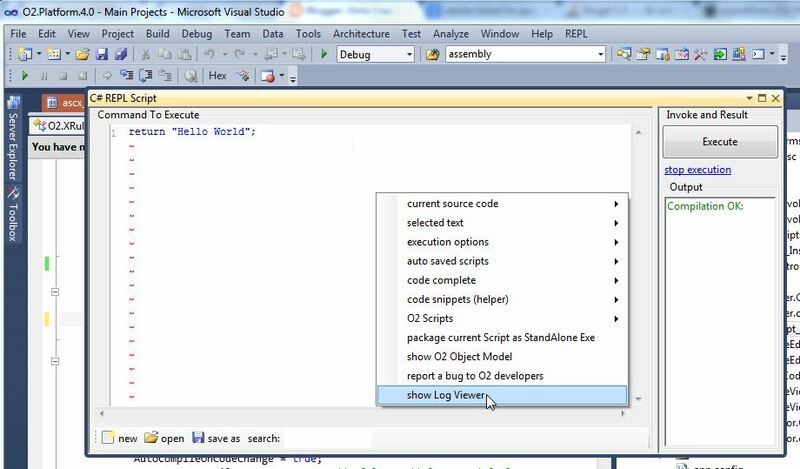 Note that I didn't use VisualStudio's Debug/Run capabilities to see the new changes in action. 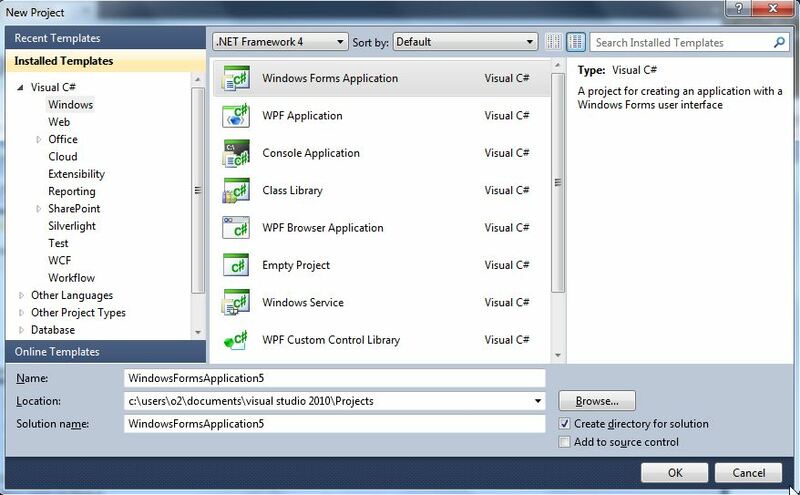 I was able to compile the modifed Source Code file, and using reflection, was able to create a new instance of that WinForm's Control (with everything done inside VisualStudio's IDE). As a final example, lets add a Run button to the ToolStrip Control. 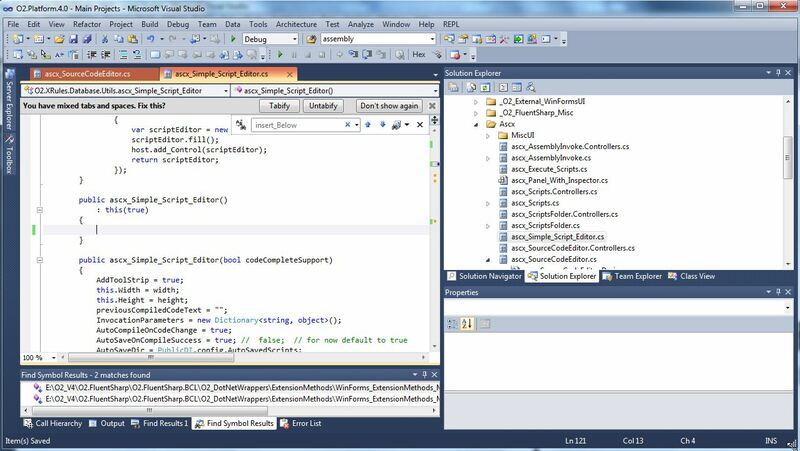 Once saved , complied and executed (not by VisualStudio), we can see that there is a Run button on the ToolStrip. 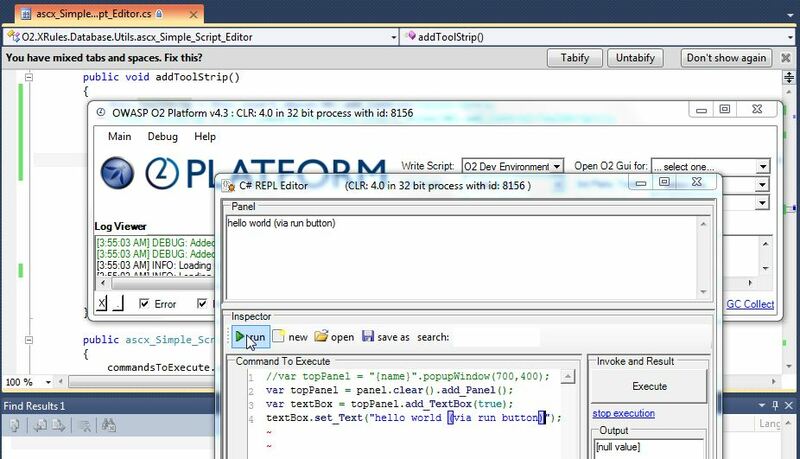 And run the O2 Platform executable (now using VisualStudio's F5). I can't underestimate how powerful, fast and efficient it is to be able to have this type of REPL environment while coding (and how painful is the VisualStudio workflow in comparison).